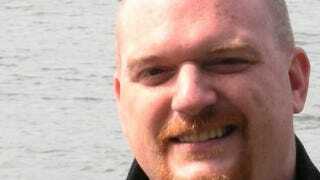 Stephen Toulouse—known as StepTo to those listening to Major Nelson's podcast, or unfortunate enough to feel the cold kiss of the Xbox Live banhammer—has given his two weeks notice to Microsoft. The director of Xbox Live Policy and Enforcement will leave Feb. 16, after 18 years with the company. On his personal blog, Toulouse calls the separation amicable, but says he's leaving for "complex and personal reasons." We'll remember StepTo as the face of Xbox Live enforcement; vowing swift justice for Modern Warfare cheaters; hilariously reading from "The Book of Enforcement" at PAX 2009; backing up The Pro in his epic clash with a 12-year-old shitbag; and suffering hack attacks and hack attempts from scores of butthurt trolls that Microsoft expunged from Xbox Live during his tenure. In a statement to Joystiq, Microsoft confirmed the departure and thanked Toulouse "for his years of contribution." No plans for his successor were discussed. We also thank Sgt. StepTo for his service, and wish him well.